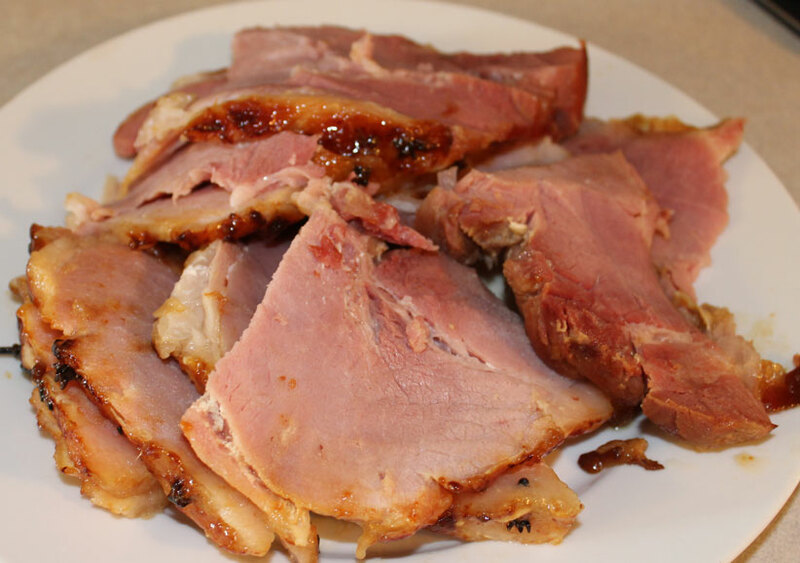 I made a boiled then glazed ham for dinner. I used the smallest of the 3 pieces of boneless ham that came from our half pig. It weighed 3lb, so I covered it with cold water following my usual recipe (if you can even call it that, it is so simple) and brought that to the boil. Then I tipped that out and replaced it with fresh cold water. The reason for doing this is that it reduces the saltiness of the meat. Then I added some fresh cold water, an onion cut in half, a carrot cut in big chunks and a celery stick also cut in big chunks. And a bouquet garni (a bunch of parsley, thyme and bayleaf . Then I tossed in a few peppercorns and a couple of cloves. The idea was to add a bit of flavour to the water that the ham was cooked in as I planned on using it for stock to make some homemade soup. Peppercorns are a stage 1 reintroduction, so simply omit these if you are in the Elimination phase of AIP or you have not managed to reintroduce them. Doesn’t it look beautiful in its watery bath? I let it simmer for 20 minutes per lb until my meat thermometer measured 170C when pushed in the thickest part (so 1 hour in total). After that I let it cool in the water – this helps keep the meat moist. 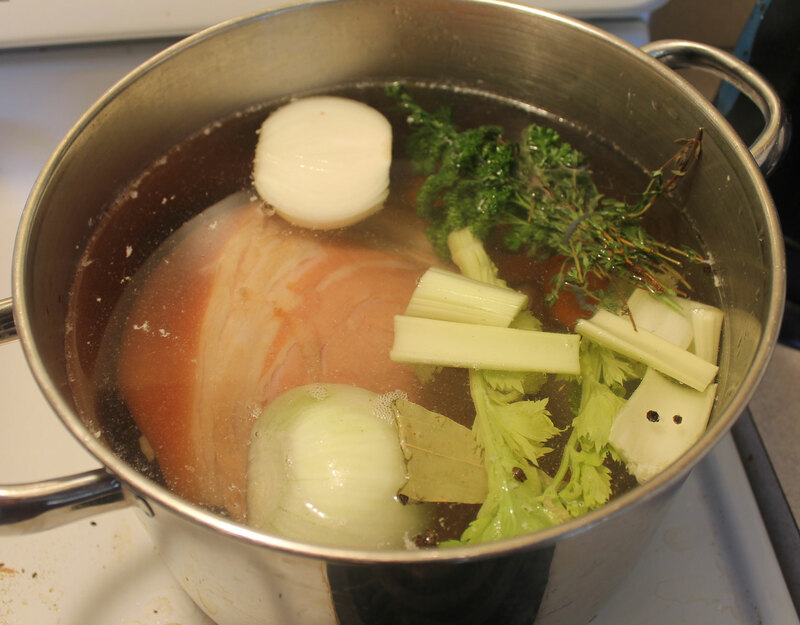 I saved the cooking liquid to make a soup (ham stock makes the BEST soups!) 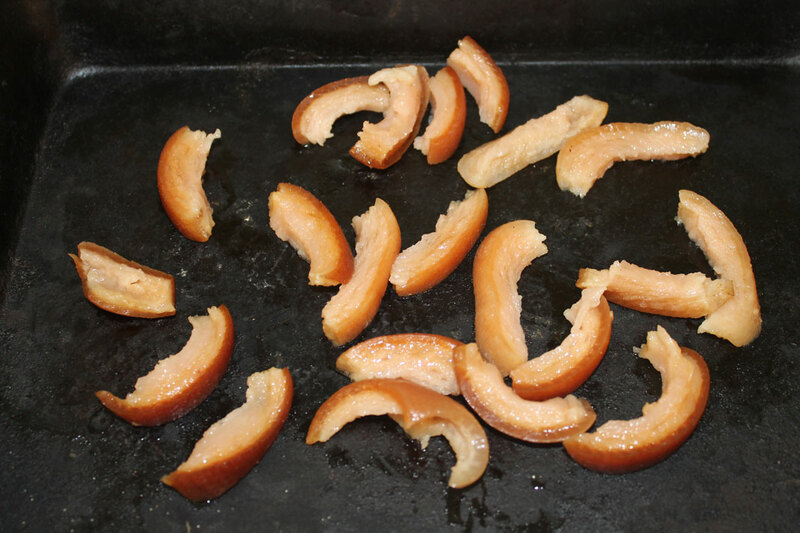 but it did need reducing, so I simmered it until it tasted good to me – not too salty, just nice and flavourful. This took around an hour to reduce by about half and resulted in 2 1/2 jars of wonderfully flavoured stock. This was used the next day to make a sweet potato and carrot soup for the kids lunch. Then I stripped the skin off the fat layer, scored the fat into diamonds (this piece of ham didn’t have much skin/fat tbh) and stuck each one with a clove. The I dribbled a little bit of honey over and I put it in a hot oven to crisp up and brown the fat layer. You do need to keep a watch on it as it will burn all of a sudden. I suppose you could use the broiler/grill to brown and crisp the fat, but my Mum always used the oven, so that is what I did. And in case you were wondering, I didn’t even waste the skin that I stripped off. The kids begged me to cut it into strips and render them down in the oven. That produced a small amount of ham fat that went into the bacon-fat pot that I keep in the fridge (love bacon fat for cooking scrambled eggs! 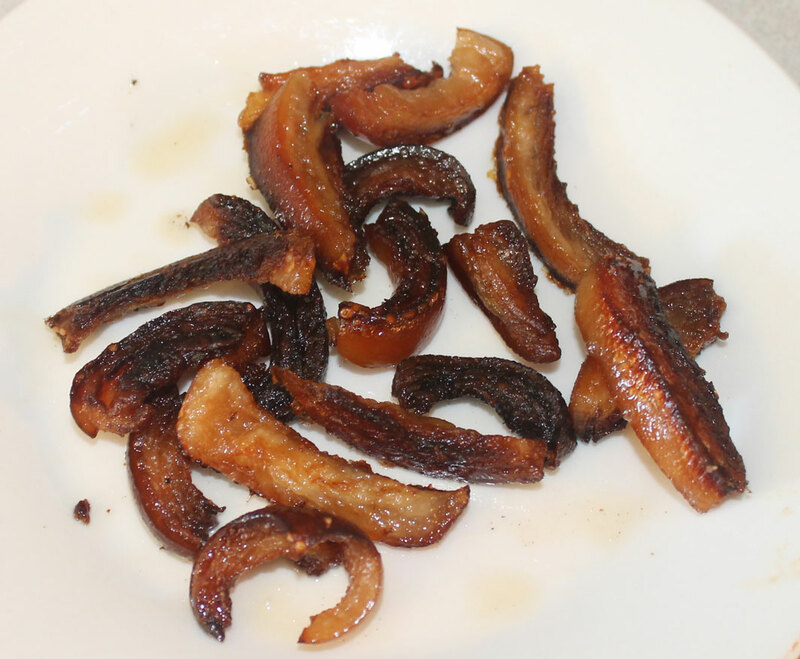 ), and it also produced some ham cracklin’s that the kids promptly ate… I was thinking that they would have made a good crouton substitute for the salad only they got devoured! 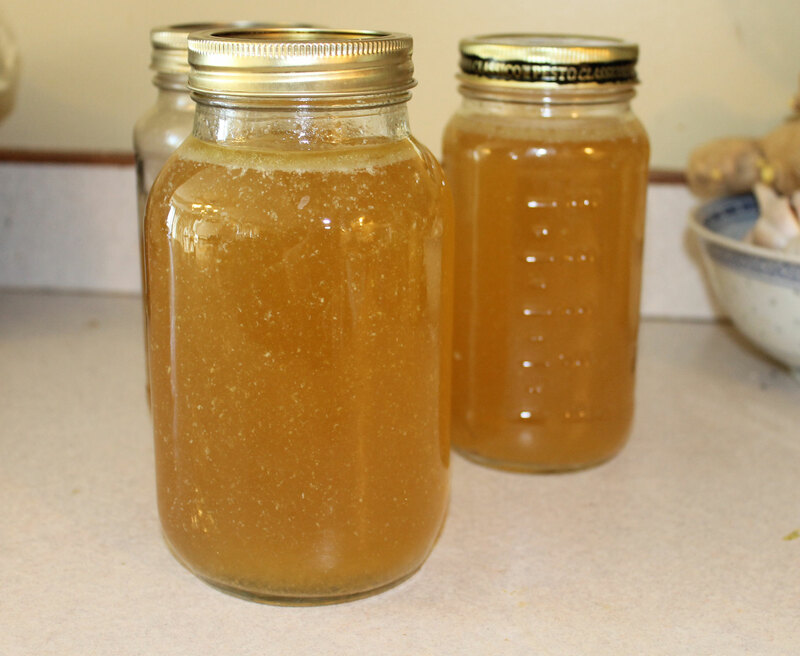 This entry was posted in Autoimmune Protocol Foods, Recipes and tagged AIP-friendly, broth, cracklin's, dinner, glazed ham, ham, ham salad, paleo, primal, stock. Bookmark the permalink. ← Why do people get so offended when you mention that you are Paleo? 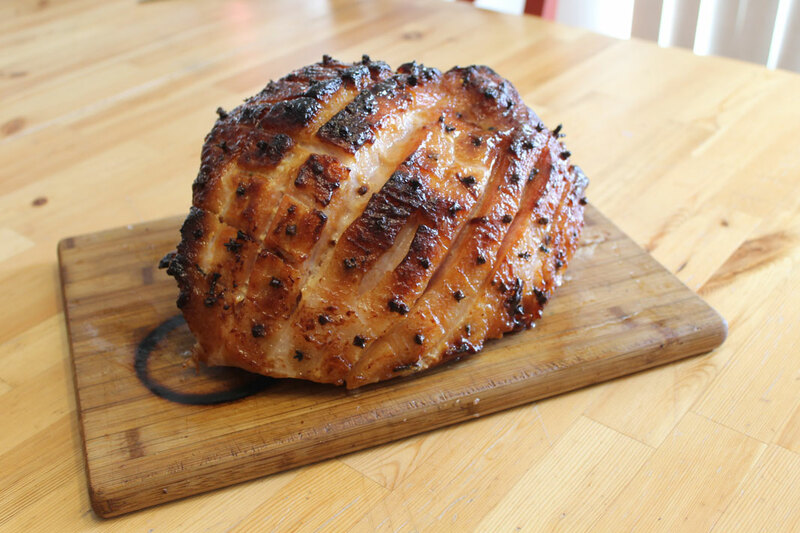 Your Ham looks fantastic, such wonderful flavor! Thanks so much for sharing with Full Plate Thursday and have a wonderful week.